"If you were to draw a map of the two of them, of where they started out and where they would both end up, the lines would be shooting away from each other like magnets spun around on their poles." 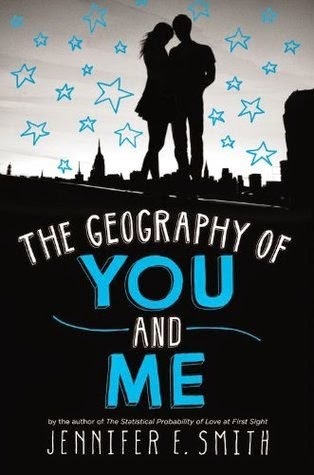 That's exactly my feeling about Jennifer E. Smith's The Geography of You and Me…we started out close, but ended up very far away. After weeks of trying and reading multiple other books in between, I had to give up on this novel. I'm not sure why I had such a hard time slogging through it, but I realized today that I was doing anything to avoid continuing the book. I deleted it from the Kindle and am ready to move on!